When we spot an admirable, easy and put together look on Instagram, we eagerly save it to our phones. Although it may seem simple to conjure up, classic ensembles are not always the easiest to recreate. 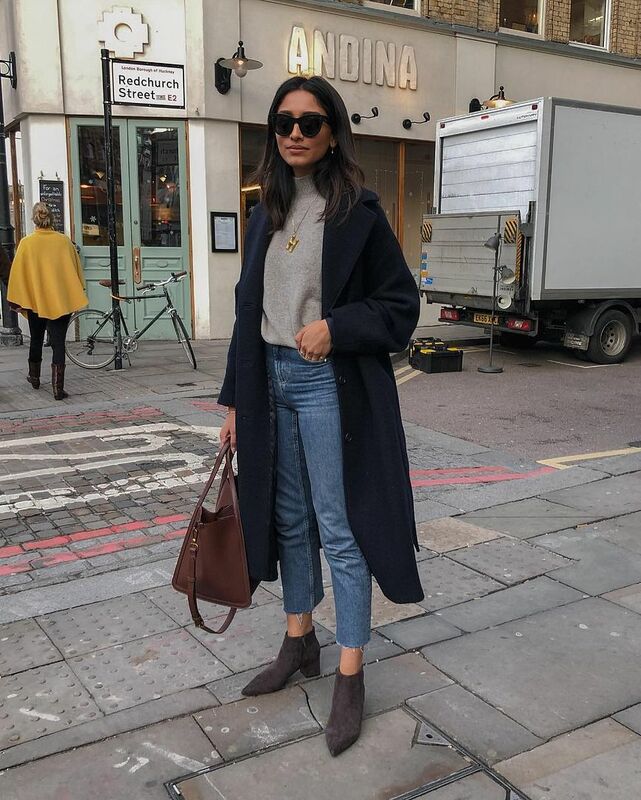 This blogger wore a simple navy wool coat, grey turtleneck, cropped jeans and a pair of worn, brown suede booties that is universally appealing.